- Publisher Something went wrong between me and my dad when I hit adolescence. We couldn't talk anymore -- about anything.^Psychologists would say that we lost our attachment. They'd warn that girls who don't connect with their dads are more likely to suffer from eating disorders, be sexually promiscuous, and have poorer parenting skills than daughters who have healthy relationships with their fathers.^All I know is that when it came time to walk down the aisle, I wanted to go alone.^Dads, take it from a daughter who knows -- your daughter needs you. "Daughters and Dads" explains how you can connect with your daughter in the ways she wants and needs. Full of actual letters from daughters to their dads, "Daughters and Dads" puts into words the things your daughter has trouble telling you out loud, offering real hope for every daughter and dad.^This could be the most important book on parenting you'll ever read because how you act now will affect the rest of her life. Don't make her walk alone. - Publisher Your little girl is growing up. It seems like just yesterday that your little girl followed you around, wanting to be just like you. You were her special pal, and she shared all of her hopes and dreams with you. But as she grows up, things change. She still needs you, but it's not the same. She doesn't share her secrets with you anymore, and it's hard to talk together the way you used to do. 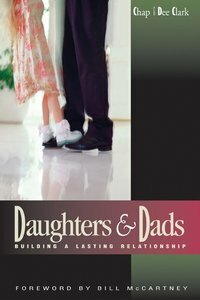 Daughters and Dads is filled with practical help that will nurture your relationship with your daughter as she grows up. You'll learn how to communicate openly and honestly with her and how to be her friend and her father. Filled with letters from adolescent girls to their dads, this book offers guidance to fathers struggling to understand their changing role in their daughter's life. Something went wrong between me and my dad when I hit adolescence. We couldn't talk anymore -- about anything.^Psychologists would say that we lost our attachment. They'd warn that girls who don't connect with their dads are more likely to suffer from eating disorders, be sexually promiscuous, and have poorer parenting skills than daughters who have healthy relationships with their fathers.^All I know is that when it came time to walk down the aisle, I wanted to go alone.^Dads, take it from a daughter who knows -- your daughter needs you. "Daughters and Dads" explains how you can connect with your daughter in the ways she wants and needs. Full of actual letters from daughters to their dads, "Daughters and Dads" puts into words the things your daughter has trouble telling you out loud, offering real hope for every daughter and dad.^This could be the most important book on parenting you'll ever read because how you act now will affect the rest of her life. Don't make her walk alone. Your little girl is growing up. It seems like just yesterday that your little girl followed you around, wanting to be just like you. You were her special pal, and she shared all of her hopes and dreams with you. But as she grows up, things change. She still needs you, but it's not the same. She doesn't share her secrets with you anymore, and it's hard to talk together the way you used to do. Daughters and Dads is filled with practical help that will nurture your relationship with your daughter as she grows up. You'll learn how to communicate openly and honestly with her and how to be her friend and her father. Filled with letters from adolescent girls to their dads, this book offers guidance to fathers struggling to understand their changing role in their daughter's life.